Easy Built Models - Grumman Wildcat 20"
The Wildcat was the primary US Navy and Marine fighter plane of WWII. 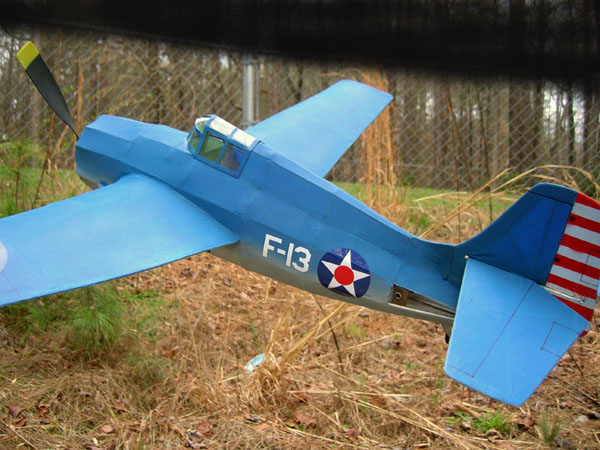 This free flight rubber powered kit contains a full-size rolled plan, building and flying instructions, printed balsa and hand-picked balsa strip wood, rubber motor, E-B propeller, EBM thrust bearing, vacuum molded canopy, wheels, wire, Easy Built Lite tissue in medium navy blue and light sky blue, and TissueCal™ markings. To build this model you will need a building board, hobby knife, fine sandpaper, and glue. The Wildcat canopy is made from crystal clear light weight PETG plastic. Markings for Wildcat are printed on white Easy Built Lite tissue.